The Dubai International Airport (IATA: DXB, ICAO: OMDB) is one of the world's busiest airport located in Dubai, United Arab Emirates. It is considered the busiest airport operation through only two runways, the third-busiest airport in the world by passenger traffic, the sixth-busiest cargo airport in the world. By 2017, the Dubai Airport managed to carry 88 million passengers, 2.65 million tons of cargo, and 409.493 aircraft operations. 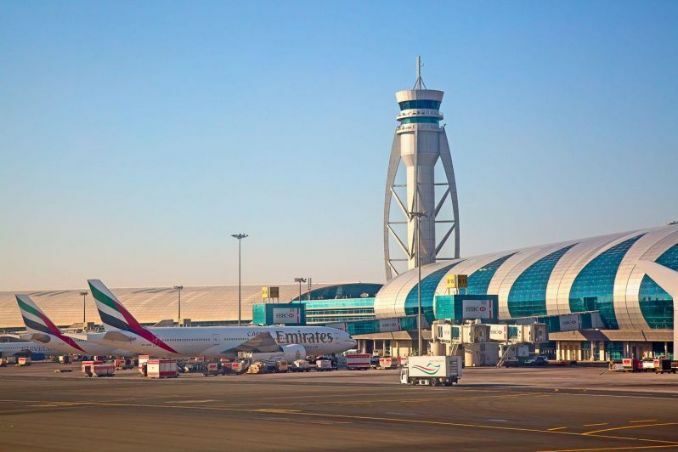 The Dubai International Airport (IATA: DXB, ICAO: OMDB) was opened for civil aviation in July 1937 when the British airline Imperial Airways signed a contract with the airport for the base rental at 440 rupees per month or $6 (for the moment of September 2018). By February 1938, there were approximately four Empire Flying Boats operations from the airport per week. 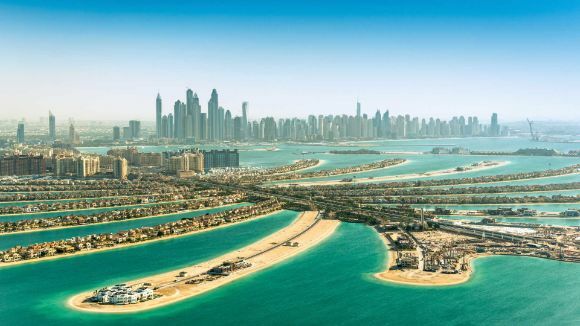 Dubai is considered the largest and most populous city of the United Arab Emirates (UAE) as the population of the town has reached 2.789.000 people by 2017. 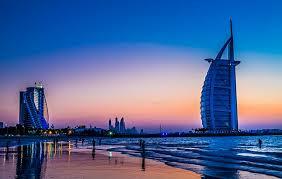 The city is the capital of the Emirates of Dubai, one of the seven emirates that conclude the country. 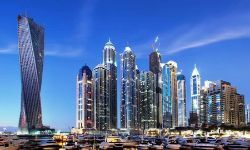 That was a commonly known fact that the oil industry generated the main part of the Dubai revenue; however, things have changed since then. As now only 5% of the overall revenue comes from the oil industry, the main part relies on tourism, real estate, financial services, and aviation. The Dubai Airports Company operates the airport established in 2008. 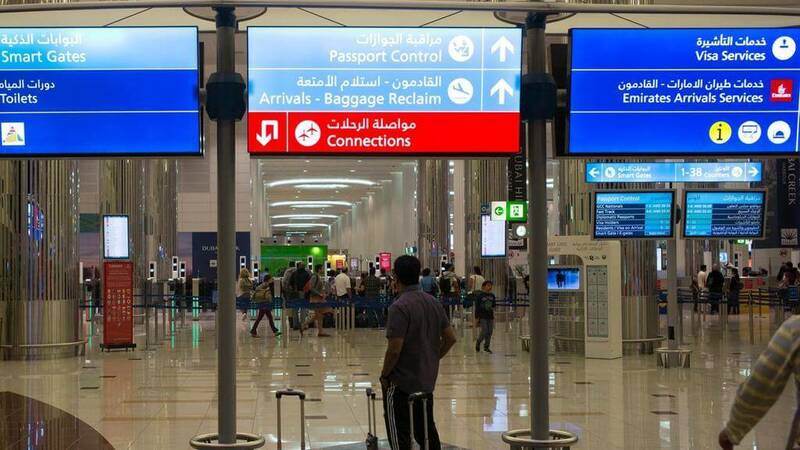 The airport served as a hub for Dubai's local airlines, Emirates that handles 51% of the airport passenger traffic and flydubai that controls 13% of passenger traffic. The capacity of the airport is 90 million passengers per year. By January 2016, the Dubai Airport has served 7.700 flights weekly operated by 140 airlines to over 270 destinations worldwide. The airport has a massive contribution to the Dubai economy as it employs 90.000 people and provides approximately 400.000 jobs, that is about 21% of the Dubai employment. Notably, the staff employed at the construction sites not only at the airport but across the whole country, are workers from the nearby poorer Arab countries, India and Southeast Asia. 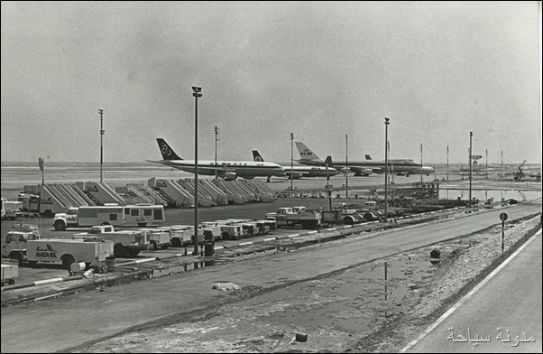 The airport was constructed under the plan divided into three phases. The first one included the construction of the first passenger terminal, 70 aircraft parking bays, the runway, construction of the maintenance hangar, workshops and administrative offices, in-flight catering kitchens, the first fire station, two cargo agents' buildings, and a control tower. The second phase consisted of the construction of the second runway, a second fire station 50 new aircraft parking bays, and a third cargo agent building.Later, after the first two phases are finished, the third phase should have included the construction of a new terminal and new 60 parking lots. After successful implementation of the first plan, the second one was presented in the early 2000s. The new plan meant the development of the terminal facilities and concourses. 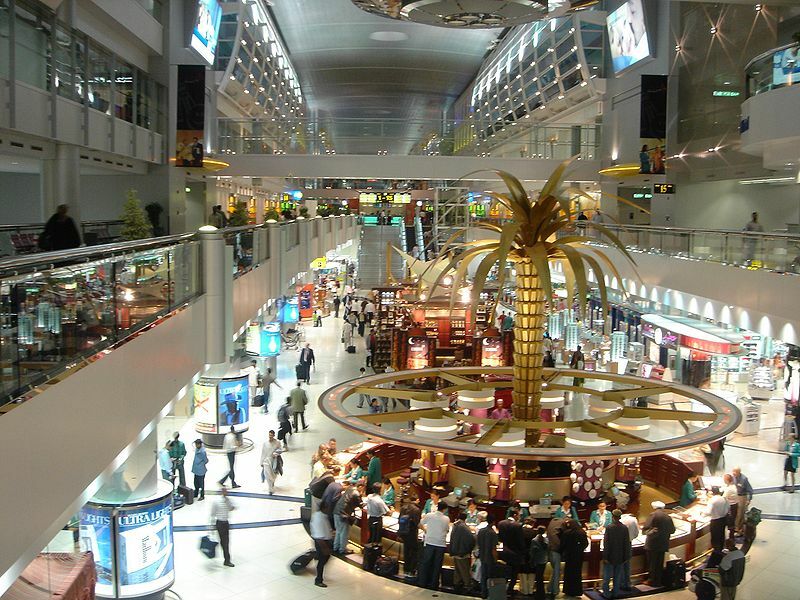 The Dubai International Airport has three terminals: Terminal 1, 2, and 3. Two of those (1 and 3) are connected and are easily accessible for the passengers wanting to get from one terminal to another without going through immigration. Terminal 2 is located separately from other two terminals and might be accessed with the shuttles running from Terminal 1 and 3, and the ride will take approximately 20 minutes to the Terminal 1 and 30 minutes to the Terminal 3 relatively. The Executive Flight Terminal is located in beside the Terminal 2 and has hosts flights serving premium passengers, high-end travelers or important guests of the country. 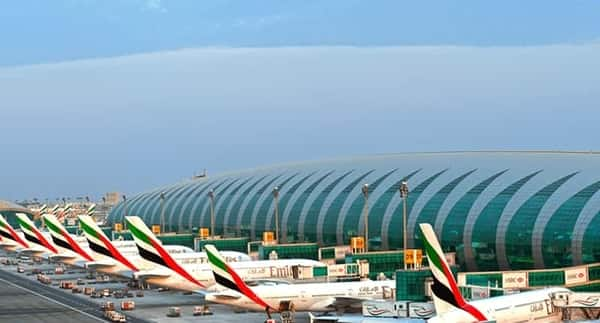 Among services provided by the Dubai International Airport, there are: Wi-Fi is available on the whole territory of the airport and might be accessed via connecting to the ‘DXB Free WiFi' or ‘DWC Free WiFi' from networks list. There are several ATMs located across three terminals of the airport as Al Ansari Exchange, Dubai Express Exchange, ENBD Money Exchange, Sharaf Exchange, Travelex Currency Exchange, UAE Exchange. 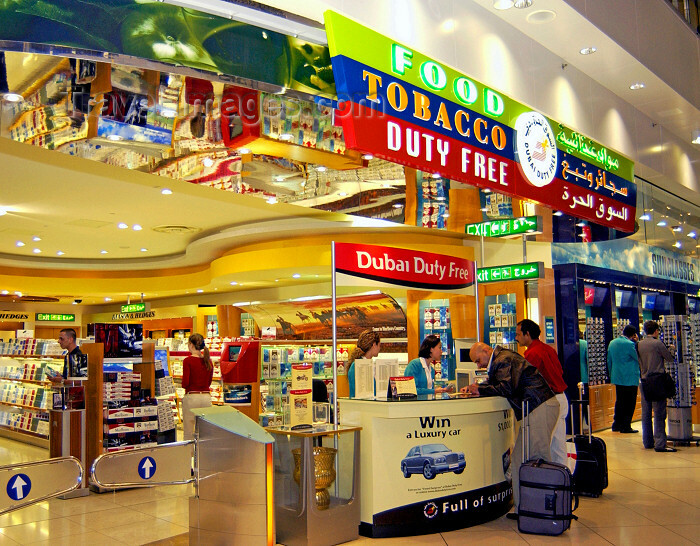 The Duty-Free available at the Dubai International Airport is operated by the Dubai Duty-Free (DDF) company that provides a duty-free area at AL Maktoum International Airport. The Dubai Duty-Free is one of the world's biggest retailers with the sales of over $1.82 billion in 2016 and about $1.85 billion in 2017. The Dubai International Airport is located at the Al Garhoud district, the commercial and residential zone of Dubai. That is about 2.9 miles or about 5 kilometers east of the Dubai downtown. The airport is situated 19 meters above the sea level. 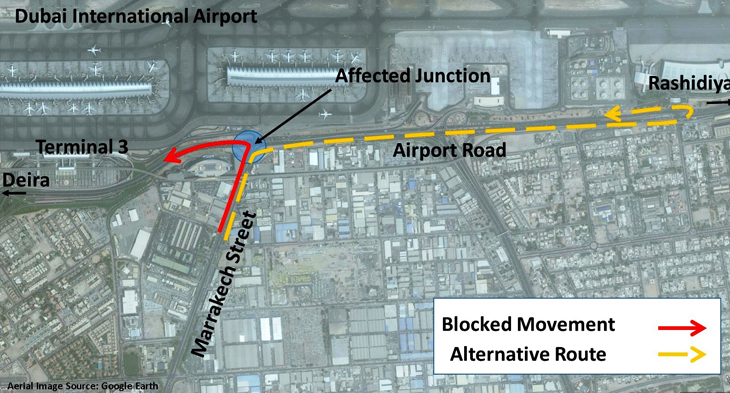 The Al Garhoud area was chosen to attract passengers from the city and give the option to get somewhere else rather than driving to the busier Sharjah International Airport. 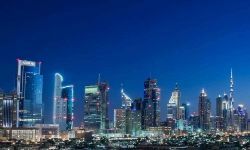 Notably, the location initially selected for the new airport to be constructed was Jebel Ali, a port-town located 35 kilometers away from Dubai. 96 Hour Transit Visa that is valid for four days from arrival date and costs approximately $55. Single Entry Long Term Visa that is valid for 90 days from arrival date and costs roughly $330. Single Entry Short Term Visa that is valid for 30 days from arrival date and costs approximately $90. Multi-Entry Long Term Visa that is valid for 90 days from arrival date and costs approximately $475. Multi-Entry Short Term Visa that is valid for 30 days from arrival date and costs approximately $175. Long Term Visa for Leisure purpose is valid for 90 days and is available for Pakistani and Filipino nations only; it costs $250. 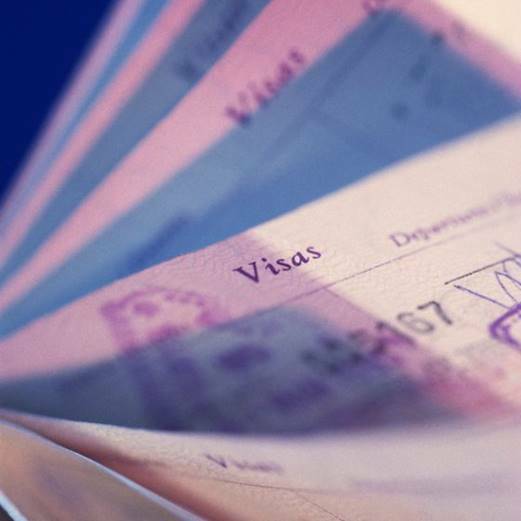 There are specific rules and regulations applicable for obtaining a visa. 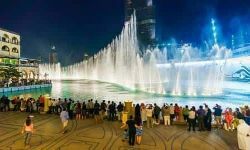 The visa fees shall be paid upon application for a visa; visa fees are not refundable; entry into the UAE is the subject for immigration control; all visas are valid for 60 days to enter the country, except the 96-hour visa which will be valid for 30 days since the date of issue. For the citizens of the countries listed below, there is no need to obtain a visa in advance, they may proceed to Immigration after the flight, and a 30-days visa will be stamped into their passport free of charge. Those countries are Andorra, Argentina, Australia, Brunei, Canada, Chile, Hong Kong, China, Ireland, Japan, Kazakhstan, Malaysia, Mauritius, Monaco, New Zealand, People's Republic of China, Russian Federation, San Marino, Singapore, Ukraine, United Kingdom, United States of America, and Vatican City. The citizens of the following countries can acquire a 90-days visa that will be valid for six months after the date of issue. Those countries are Austria, Belgium, Brazil, Bulgaria, Croatia, Cyprus, Czech Republic, Denmark, Estonia, Finland, France, Germany, Greece, Hungary, Iceland, Italy, Latvia, Liechtenstein, Lithuania, Luxembourg, Malta, Netherlands, Norway, Poland, Portugal, Romania, Seychelles, Slovakia, Slovenia, South Korea, Spain, Sweden, Switzerland, and Uruguay. Since 1 May 2017, citizens of India that have a passport that is valid for at least six months from the date of arrival, a visit visa or green card issued by the USA are allowed to obtain a 14-days visa for a fee of 120 AED. They may also extend the time of stay for another 14 days for a fee of 250 AED.